Improving traffic safety for school children with real time data. The main purpose for the project was to update the design of the square in front of Svebølle School, make the square more attractive and include it as an active area in the school’s activities. At the same time, the project focuses on traffic safety and health improving activities. The result of the design process was a new design for the square, where facade LED light, traffic registration (by RFID), concrete furniture with integrated LED light and sensors and tunable streetlight (by the school crossing) are connected, and the school can use the registered data and programmable light for teaching purposes. The solution is a result of two workshops where citizens, school employees, architects, traffic and planning experts as well as Lighting Metropolis partners and others participated. As a result of the process, architect Martin Freeman (from Lone Backs Arkitekter ApS) has designed an exclusive series of concrete furniture with integrated light and the possibility of incorporating various kinds of sensors and technological features. Tunable white light for School Crossing: Thorn Tunable White luminaires, sensors and gateway. 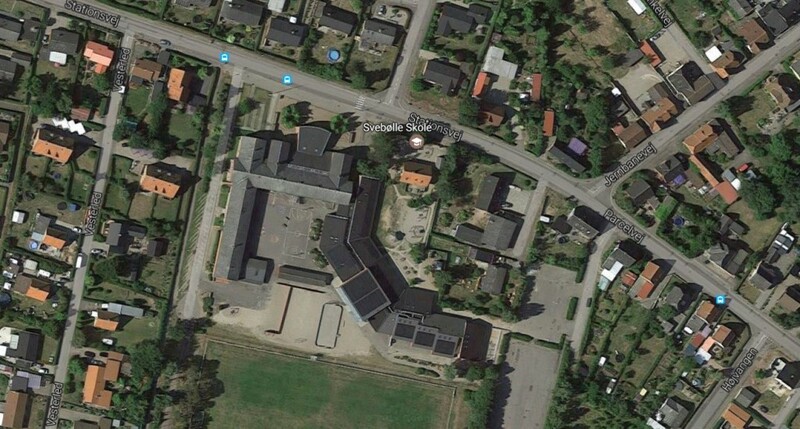 In the school year 2018/19, Svebølle School will offer a course for the students, where they will learn about smart cities and how to program the light to communicate data from the square and school surroundings. The project continues after the end of “Lighting Metropolis”, and the traffic safety effect will be registered in the upcoming “dark season” of wintery Denmark. Both the concrete manufacturer and architect have obtained experience in the challenges and possibilities of incorporating modern sensor technology into products (e.g. in the outdoor furniture). Using data from nearby surroundings is expected to be an eye opener for the students, helping to catch their interest in studying the possibilities, pitfalls and challenges of producing, publishing and using big data. The experiences from Svebølle School are followed closely by other schools and school professionals, evaluating how smart city and data can be integrated into teaching programs.